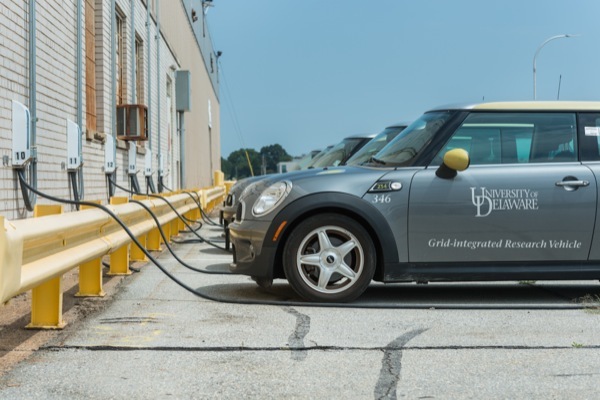 This bill facilitates electric vehicle and grid-integrated electric vehicle interconnection with Delaware’s electric grid by having Delaware adopt the Society of Automotive Engineers’ industrial safety standard, called J3072, which sets safety requirements for electric vehicles that provide power from their batteries back to the electric grid. Earlier Delaware laws concerning electric cars, passed and enacted in 2009, omitted the industry standard, mostly because the standard had not yet been developed then. This legislation corrects that. The technology of recharging car batteries will no doubt change exponentially as cars become self driving. I would guess that eventually the charger will come to you in the form of an autonomous charging drone and charge whole lines of vehicles at once.